Lightweight robust bag with adaptable shoulder strap, separate inner and outer pockets and buckle for on-the-go adjustment. Perfect whether you're on bike, bus or foot. 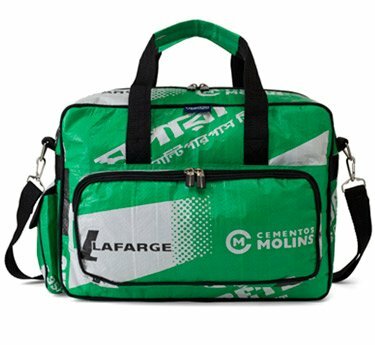 Recycled cement bag Lafarge. Zippered outside pockets for even faster access. Interior compartment with zipper side pocket. Adjustable and removable extra long shoulder strap as well as short handles. 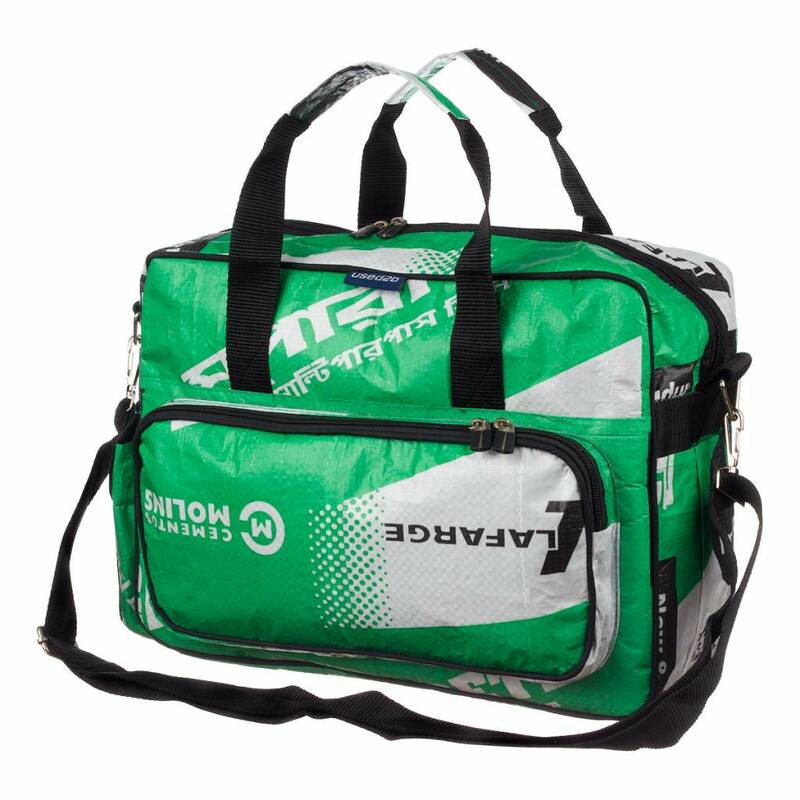 Used2b Urban lightweight messenger perfect for road trips, weekend getaways, overnight trips! Features a hidden zippered pocket on the back and a large front compartment for keeping all of your items separate, yet easily accessible. Large outside accessory pocket for airline tickets, paperback books, passsports, mobile phone, etc. Handmade from tea bags in Bangladesh by an NGO with fair trade approach to production.